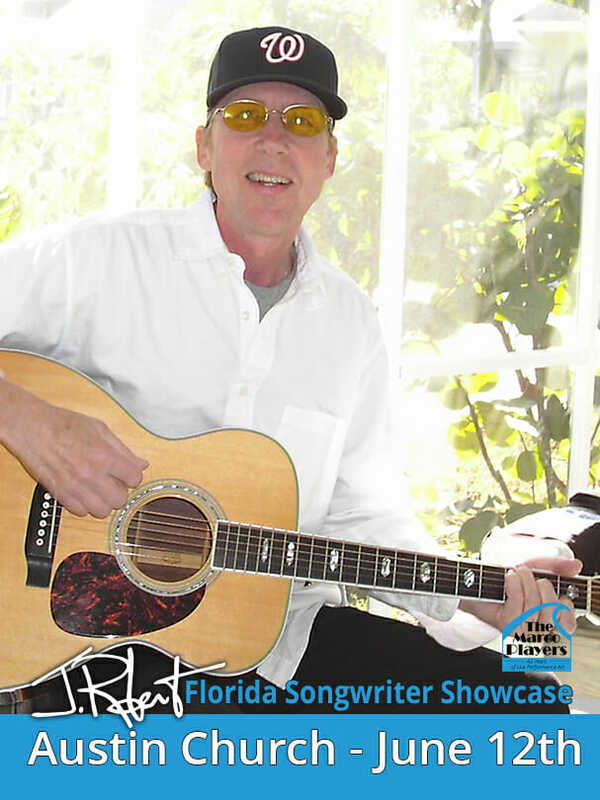 The J.Robert Florida Songwriter Showcase is a music series showcasing Florida songwriters who have composed and recorded original music. Every Monday evening, for 13 weeks, a different songwriter will take the stage to share tales and original music ranging in style from southern rock, blues and country to folk and rock ‘n roll. The evening includes a performance, intermission, Q & A with the musician, and jam session. During the shows, the musicians will share personal stories about Florida heritage that inspired their songwriting and their musical talents. Join Austin at this unique community venue on beautiful Marco Island!